YouTube is well known for all the original and user-created content it provides, but the streaming site also has a number of great films that fans can watch for free. The company has been offering movie rentals for some time now, but it is now giving its users the chance to see some classic films at no charge. However, viewers will have to sit through a few ads while the stream. Below, we have put together a list of some of the better films available for free streaming on YouTube.com/Movies. Scroll down to check them out, and let us know in the comments which ones you plan to stream! Starring: Reese Witherspoon, Sally Field, Regina King, Jennifer Coolidge, Bruce McGill, Dana Ivey, Mary Lynn Rajskub, Bob Newhart, and Luke Wilson. 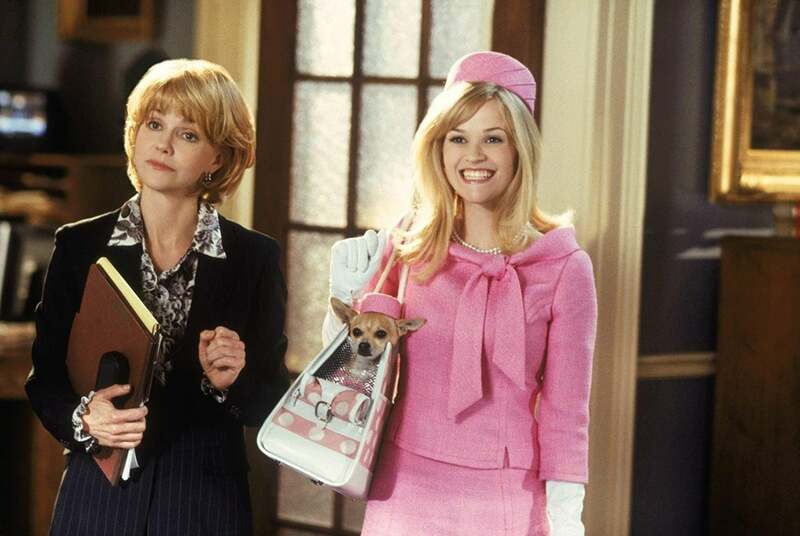 While the first Legally Blonde is available to rent on YouTube starting at $2.99, fans can stream Legally Blonde 2: Red, White & Blonde for free. This sequel continued the adventures of Witherspoon's Elle Woods, with the new story set against the backdrop of America's capitol, Washington, D.C. Starring: Paul Walker, Jessica Alba, Scott Caan, and Josh Brolin. Between 2003s 2 Fast 2 Furious and 2009s Fast & Furious (the fourth film on the Fast & Furious franchise), Paul Walker starred in this aquatic action-thriller. Into the Blue is about a crew of ocean divers who "find themselves in deep trouble with a drug lord after they come upon the illicit cargo of a sunken airplane." Starring: Jena Malone, Mandy Moore, Macaulay Culkin, Patrick Fugit, Eva Amurri, Martin Donovan, and Mary-Louise Parker. Saved is an indie-comedy from 2004 all about the lives of a group of Christian high school students. It was not Mandy Moore's first film role, but it was the one to establish her as being willing to take on subject matter that was not mainstream. Starring: Christian Bale, Freddy Rodriguez, Eva Longoria, Terry Crews, Tammy Trull, and J.K. Simmons. Harsh Times is a 2005 crime film that was written and directed by David Ayer, who wrote Training Day and would later go on to write and direct films such as End of Watch, Fury, and DC's Suicide Squad. It tells the story of two friends who find themselves divided after one of them becomes an employee of the Department of Homeland Security and a chaotic mess of drugs and violence ensue. Starring: Scoot McNairy and Whitney Able. Before he took directed Godzilla (2014) and Rogue One: A Star Wars Story (2016), Gareth Edwards wrote and directed this science fiction horror film about a photographer (McNairy) who has to bring his boss' daughter through a quarantined area of Mexico that is filled with terrifying monsters to get her safely back to the United States. The film was a huge success, and now anyone can stream it for free on YouTube. Starring: Richard Jenkins, Hiam Abbass, Haaz Sleiman, and Danai Gurira. 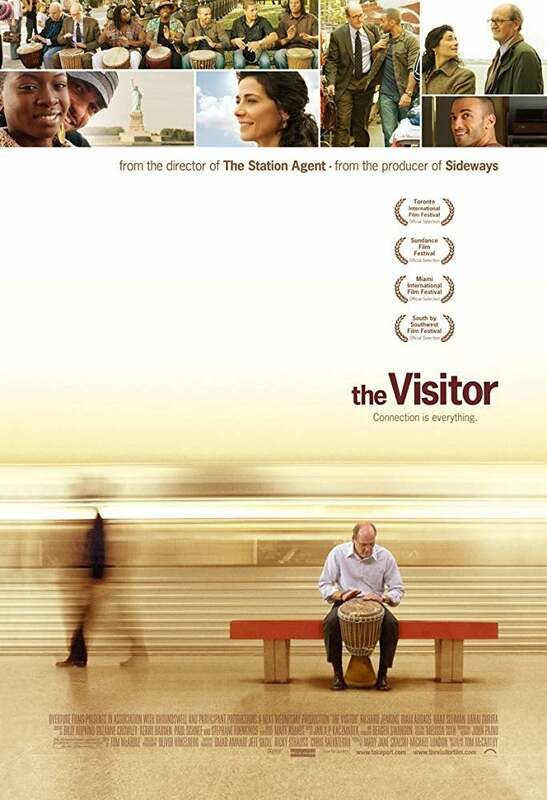 The Visitor is a 2007 drama film about "a lonely man in late middle age whose life changes when a chance encounter with an immigrant couple forces him to face issues relating to identity, immigration, and cross-cultural communication in post-9/11 New York City." Star Richard Jenkins earned his first Oscar nomination for his role in the film (Best Actor - 2008), later going on to earn another Academy Award nomination for Best Supporting Actor for The Shape of Water (2017). Starring: Steve Martin, Michael Caine, Glenne Headly, Anton Rodgers, and Barbara Harris. Dirty Rotten Scoundrels is a 1988 comedy film starring film legends Steve Martin and Michael Caine as "two men competing to swindle an American heiress out of $50,000." It was directed by Frank Oz — the famous Muppets puppeteer — who later went on to direct 1991s What About Bob?, as well as a number if other high profile comedy films. Starring: Dolph Lundgren, Frank Langella, Jon Cypher, Chelsea Field, Billy Barty, Courteney Cox, Robert Duncan McNeill and Meg Foster. 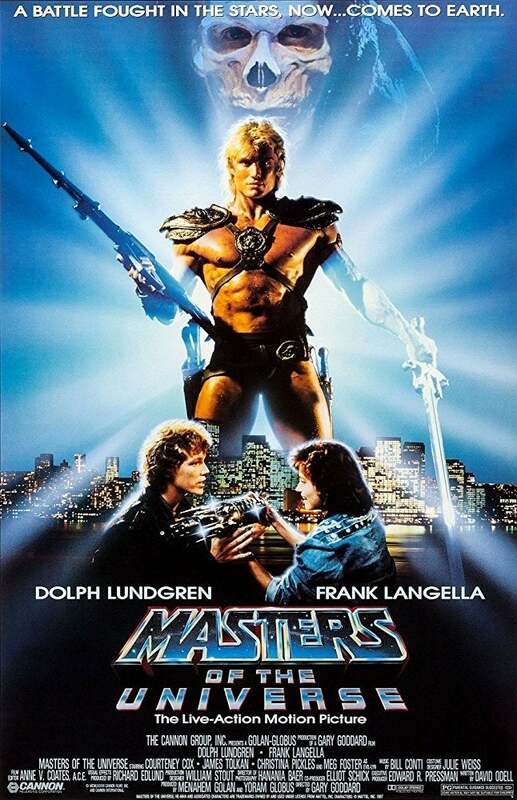 A live-action adaptation of the He-Man toy line, this 1987 action-fantasy movie was Lundgren's first leading role after the success of his role as Ivan Drago in Rocky IV. More recently it was reported that Iron Man co-writers Art Marcum and Matt Holloway — who also worked on Punisher: War Zone, Transformers: The Last Knight, and the upcoming Men in Black: International — are working on a script for a reboot of Masters of the Universe.